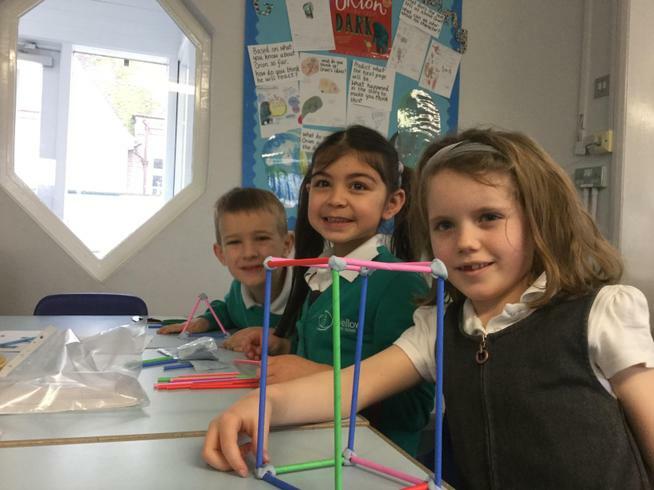 Welcome to the Year 2 class page. 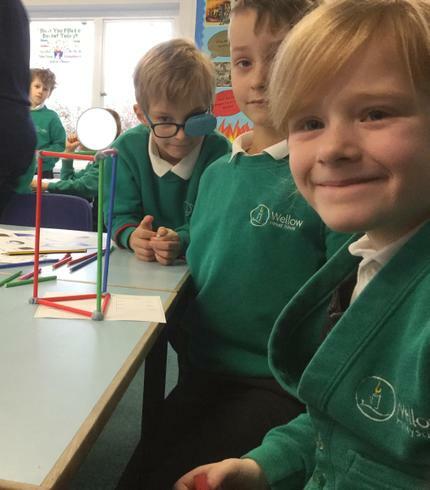 Here you will find photos and information for our class. 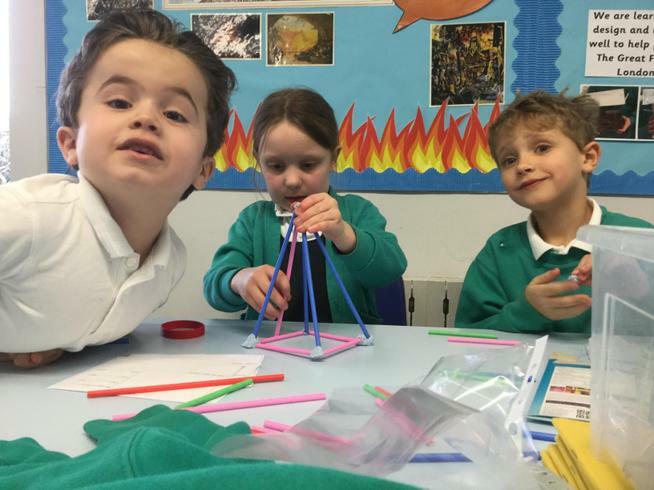 In Science we are learning all about plants! So far the children have created different habitats in pots to observe the changes that happen over time to the flowers planted. So far the polar one in the freezer has lost its stems and the salt water and sand coastal pot's flower is looking a little shrivelled up! To find out about the life cycle of plants the children have planted different shaped seeds, beans and bulbs. 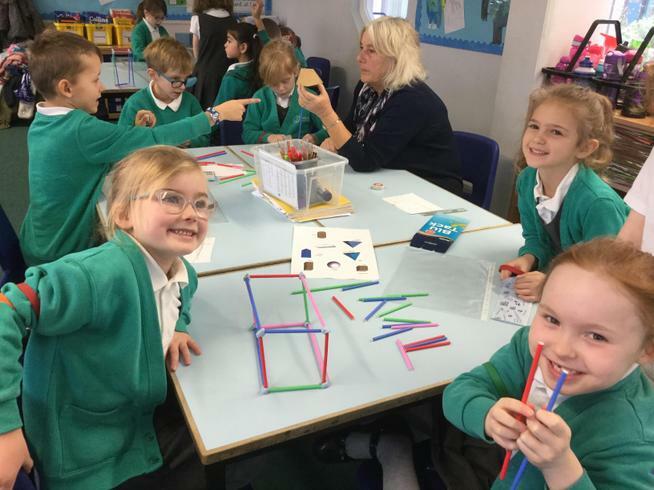 The children have also started their potato challenge. 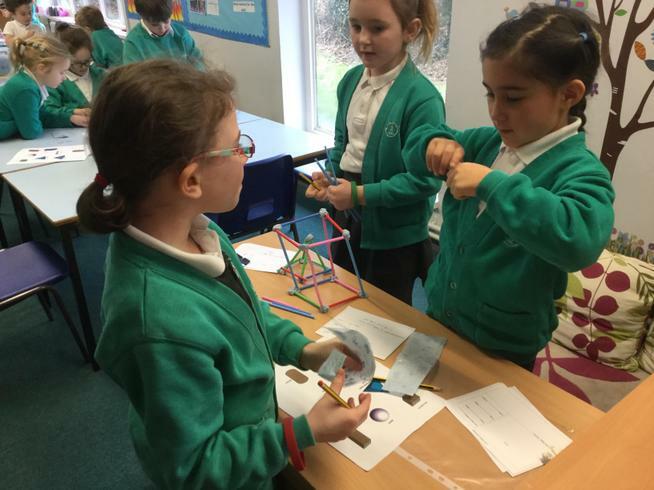 Which group's potato will harvest the biggest crop? 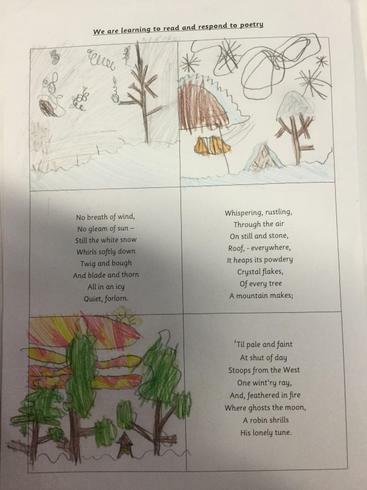 In Guided Reading the children have been building up a repertoire of poems they can recite. They really enjoyed performing 'Rhythm of life' by Michael Rosen and identifying the onomatopoeia in 'Voices of water' by Tony Mitton. 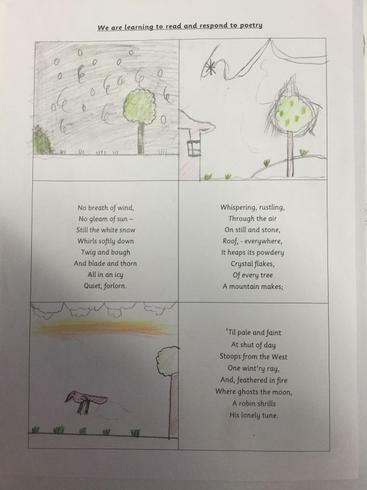 Take a look at the beautiful illustrations children created for the Walter De La Mare poem 'Snow'. 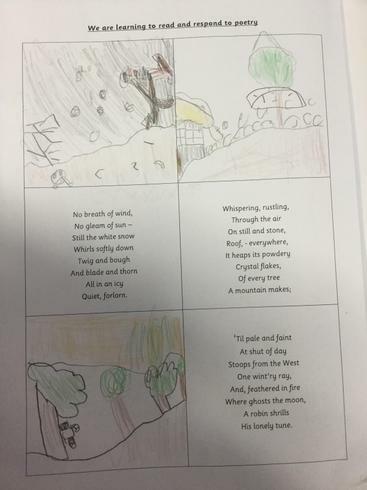 The children had to learn the meaning of some tricky words and imagery to capture the poet's ideas in their sketches. 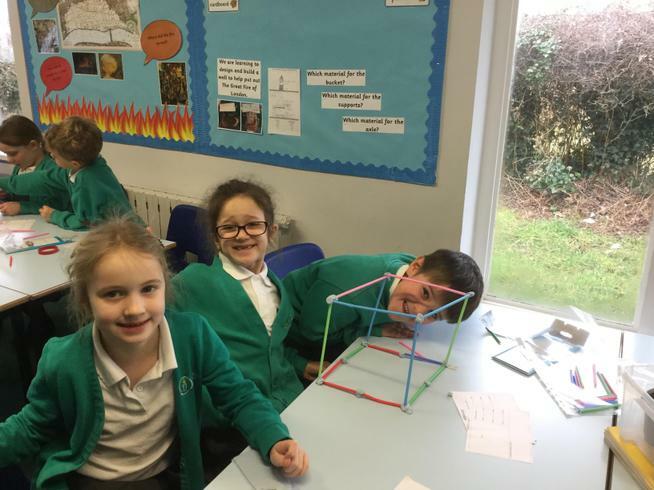 What a brilliant way to learn about the properties of 3d shapes! 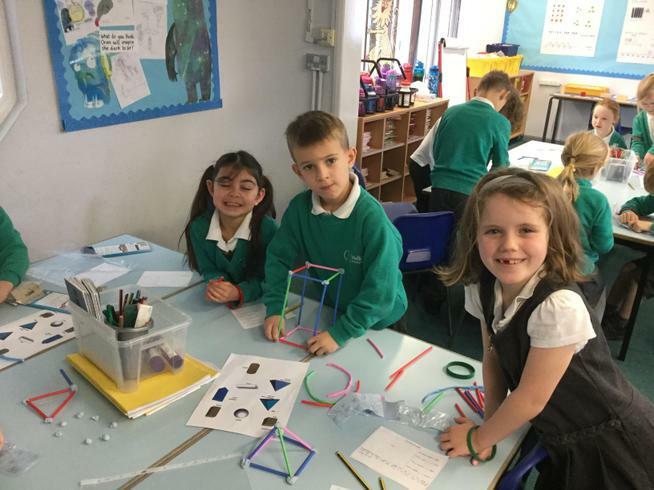 The children collaborated to construct 3d shapes from straws and blue-tac. Wow, what a brilliant Nativity performance! The children in Years R, 1 & 2 have worked so hard learning the songs, dances and words to put on two fantastic performances of 'The Not Now Nativity'. We are so proud of them all for overcoming their nerves to put on such a confident show.